RCTFC rep BC well at Legions! 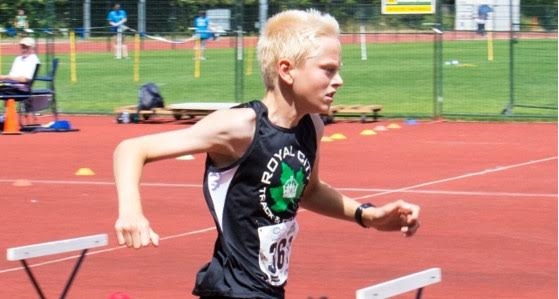 Congratulations to the 9 Royal City Track & Field Club athletes who represented the club at Legion National Youth Track & Field Championships this month in Brandon, Manitoba! 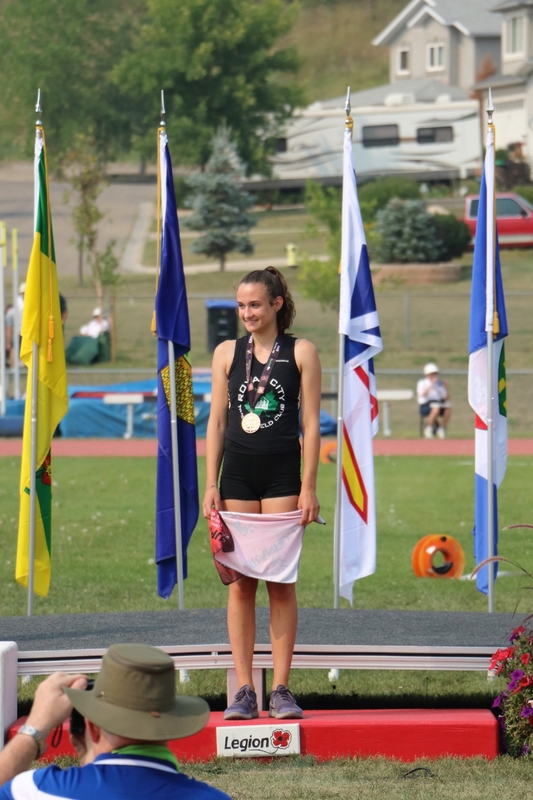 The RCTFC posse who travelled to Manitoba to compete included: Ella Foster competing in U16 Women’s pole vault, Jarrett Chong competing in U18 Men’s javelin and shot put, Kate Stewart-Barnett competing in U16 Women’s 1500m steeple chase, high jump and 1200m, JV Patry-Smith competing in U18 Women’s javelin, Emma Dolman competing in U18 Women’s 400m hurdles, Isabella Brunoro competing in U16 Women’s 2000m and 1500m steeple chase, Ryan Goudron, competing in U16 1500m Men’s steeple chase, Lauryn Savela, competing in U18 Women’s javelin and Jeremy Belcher, competing in U18 Men’s 100m and 400m hurdles. As well, congratulations to Jarrett Chong, Kate Stewart-Barnett, JV Patry-Smith and Isabella Brunoro, who were also representing TEAM BC in their competitions at Legions, following their stellar performances and provincial rankings during the 2018 season! 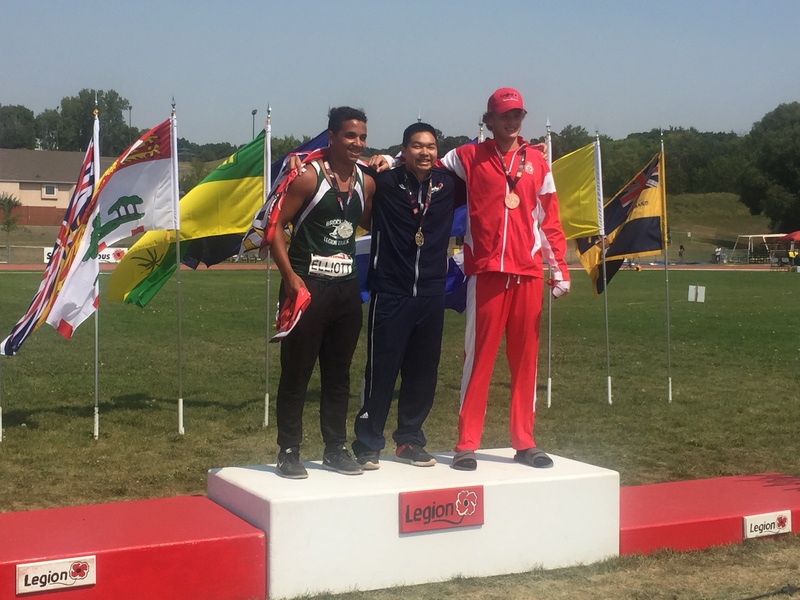 Standout Medal performances at Legions included: In Men’s U18 Jarrett Chong‘s Gold in javelin, throwing 67.55m and Silver medal in shot put with a throw of 17.59m; Kate Stewart-Barnett‘s Gold in 1500m steeple chase 4:50.45 and Bronze medal in high jump for Women’s U16 with a height of 1.67m; and Ella Foster‘s Bronze in Women’s U16 pole vault with a height of 3.00m! 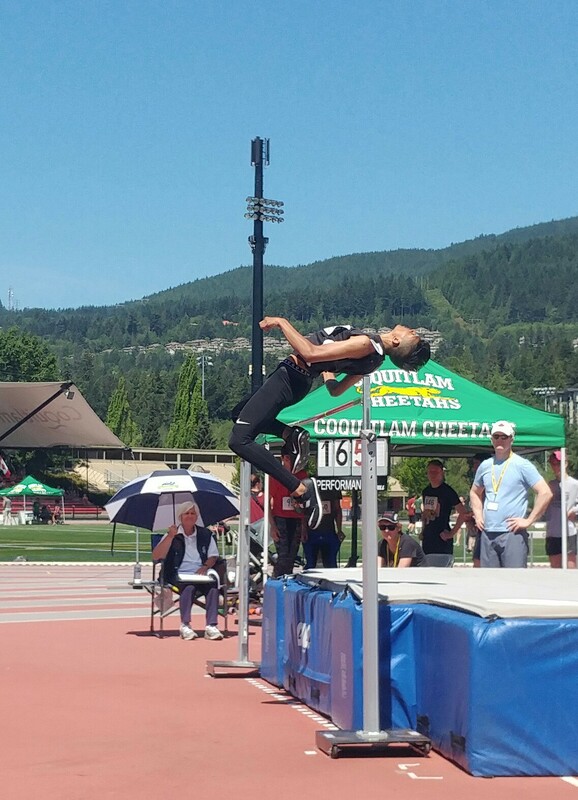 RCTFC JD athletes light it up on the track and in the field at BC Athletics JD Championships! Congratulations to the 19 RCTFC JD athletes who competed very well at the 2018 BC JD Champs in Kelowna! The team hauled in 21 medals at the meet! More than 75 top 8 performances and many personal best performances were also accomplished! Well done team! Congratulations also to the 12 year old girls’ 4 X 100m relay team (Lishan Melles-Hewitt, Zehra Ali, Indira Chiang and Mballany Kambidi) for their Gold medal win! 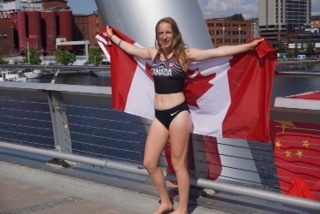 RCTFC’s Grace Fetherstonhaugh makes finals at World’s & competes to 11th place for TEAM CANADA! 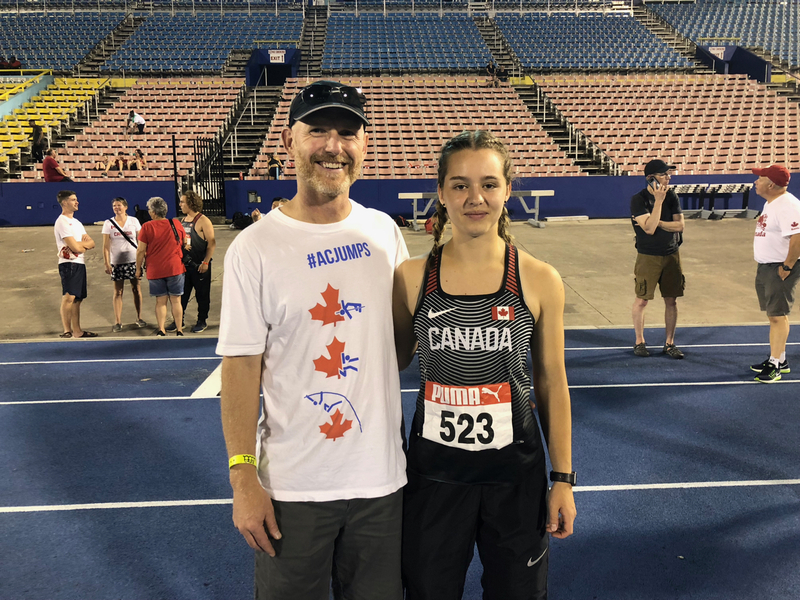 RCTFC’s steeple chase/distance runner Grace Fetherstonhaugh represented well both Royal City Track & Field Club and TEAM CANADA recently at the U20 World Junior Track & Field Championships in Tampere, Finland. 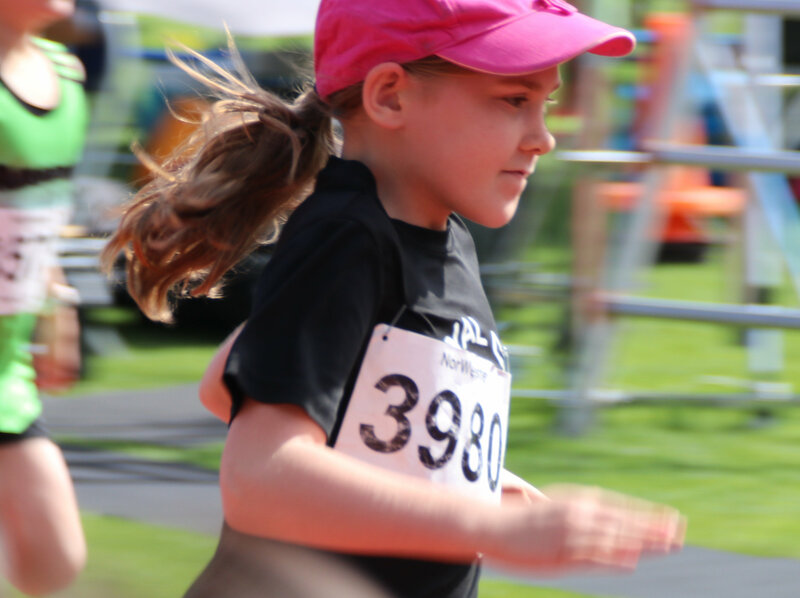 Amongst the forty 3000m steeple chase runners representing countries from around the world, Fetherstonhaugh competed in the first of three qualifying heats, where she snagged the last spot allowing her to compete in the finals! 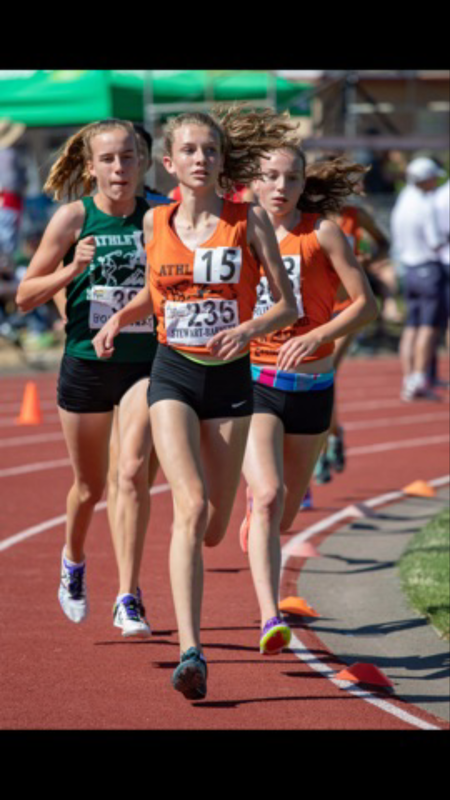 In the finals, Fetherstonhaugh competed to 11th place with a time of 10:02.28, just shy of her pb and season’s best of 10:01.95 set a month earlier at the Portland Track Festival in Portland, Oregon! Congratulations Grace! RCTFC BC Summer Games Selected Athletes rep club & region well! 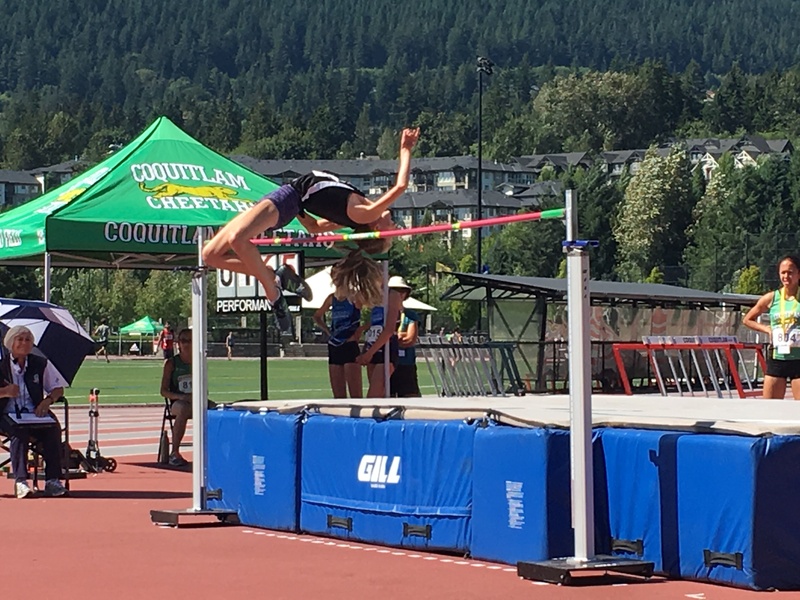 Congratulations to Ella Foster, Katie Stewart-Barnett, Isabella Brunoro, Cameron DeWith, Ryan Goudron and Henry Ruckman for their stellar performances at the 2018 BC Summer Games held in Cowichan Valley, BC! 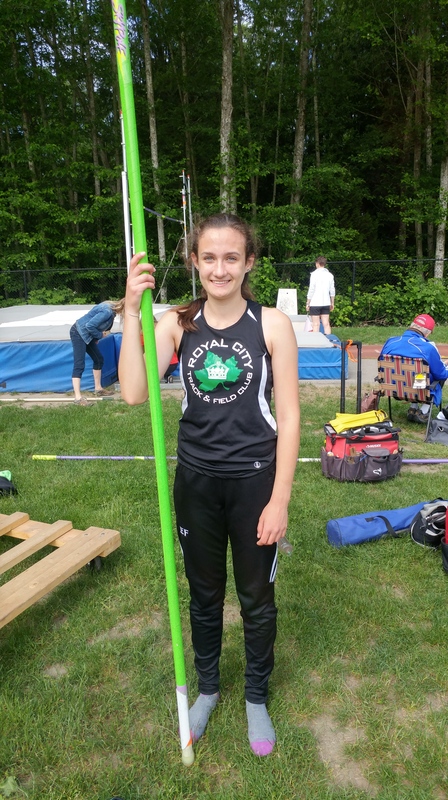 Ella Foster (pictured above) took the Gold in pole vault and set a new meet record with her winning vault of 3.11m! She also came away with a Bronze medal win in triple jump with her jump of 10.72! Cameron DeWith (pictured above at another meet) competed well through 100mH, long jump, shot put, high jump and 1000m all in one day in the pentathlon event. He scored 1653 points and placed 7th! 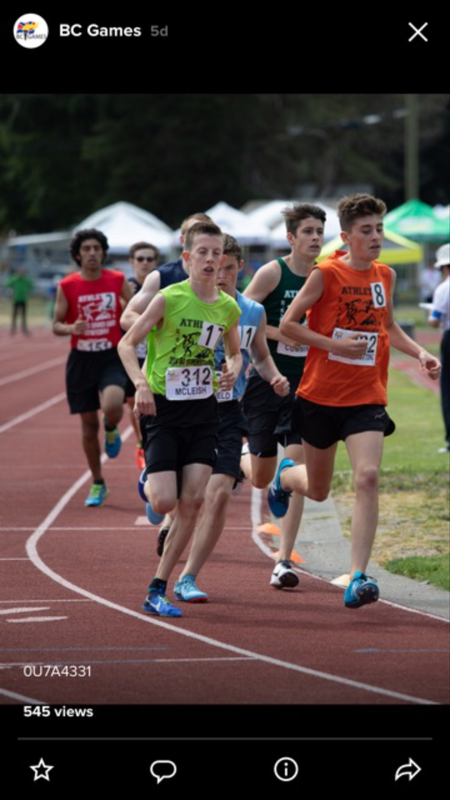 Ryan Goudron (pictured below) competed well at BC Summer Games representing Zone 4. Goudron accomplished 7th place in the 2000m finals with a time of 6:13.06 amongst 15 other representatives from other BC regions! Goudron also competed in the 800m run for Zone 4 clocking in with a time of 2:19.43! 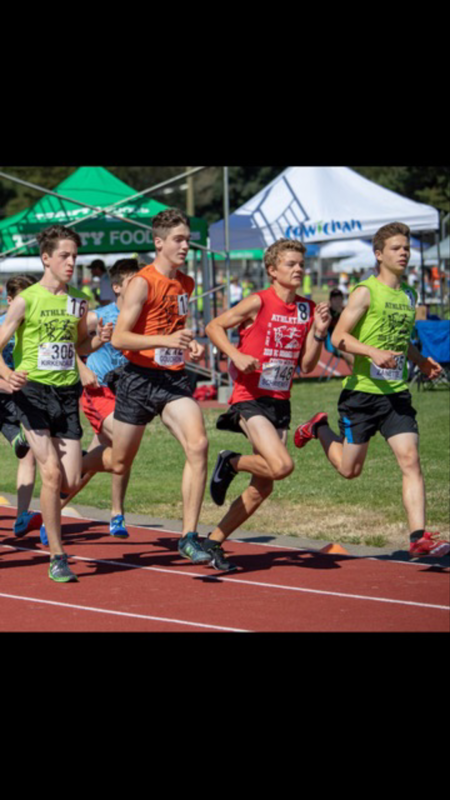 Henry Ruckman (pictured below in Orange) won well at BC Summer Games with a Silver medal in the 1500m steeple chase in a time of 4:43.71! 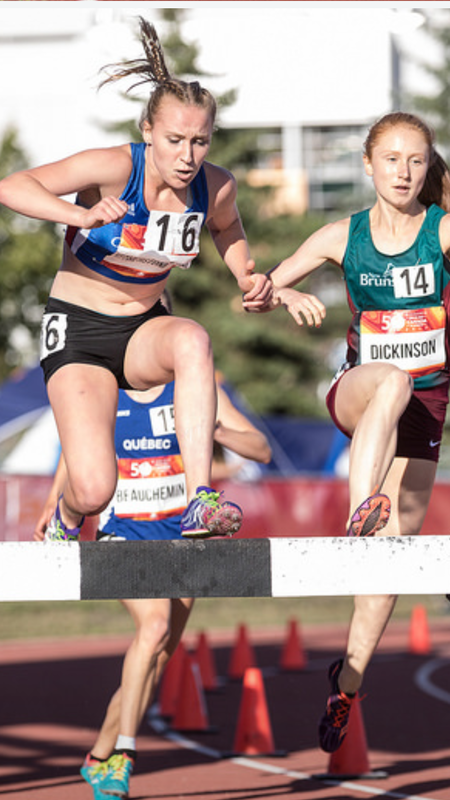 Isabella Brunoro (pictured below) won Silver at BC Summer Games in 1500m steeple chase with a time of 5:11.83! 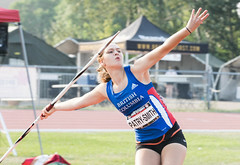 Double Gold Medals and a Bronze were won at the BC Summer Games by Katie Stewart-Barnett (below) ! Stewart-Barnett ran 5:01.98 for the Gold in 1500m steeple chase, ran 6:36.50 in the 2000m and jumped a height of 1.60m for the Bronze medal in high jump! Congratulations RCTFC Senior Graduating Athletes! 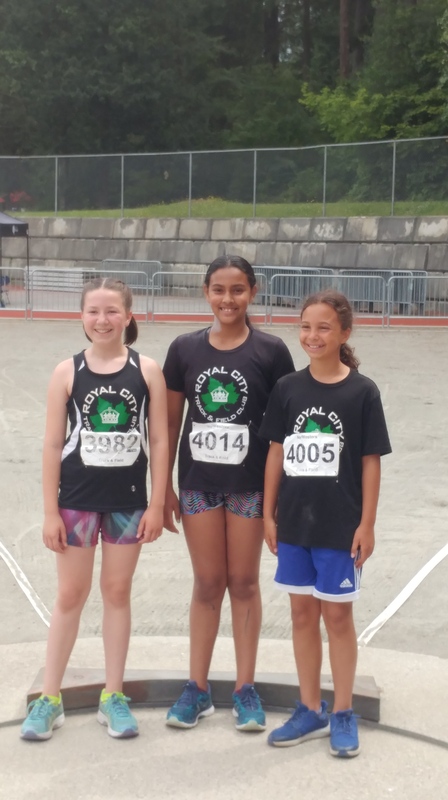 Royal City Track & Field Club congratulates Senior javelin thrower Brianna Bates, Senior javelin, hammer, shot put & discus thrower Jenevieve Patry-Smith and Senior steeple chase/distance/cross country runner Grace Fetherstonhaugh for their commitment and dedication to training and competing for Royal City Track & Field Club over the past many years! These three athletes graduated from grade 12 at their respective high schools in June 2018-Congratulations! You will be missed but the club wishes you well in all of your future endeavors! 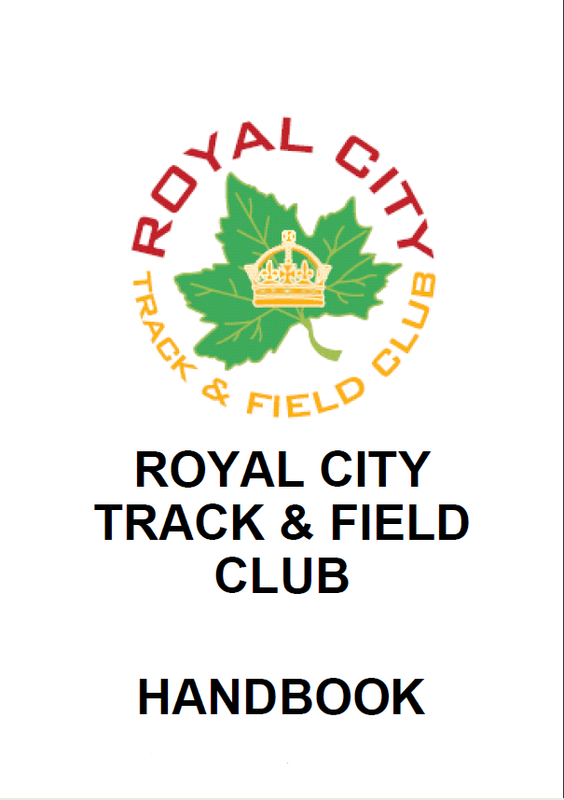 Please come back to visit your Royal City Track & Field Club fam! (Shown here, competing at 2017 Legion Youth Nationals in Brandon, Manitoba) One of Thrower Brianna Bates’ current goals is to become a police officer so her immediate plans include working to save up for school and continuing to coach soccer. (Shown here with Coach/Dad Kevin Smith at the 2018 U18 Jamaican Invitational in Kingston, Jamaica) Thrower Jenevieve Patry-Smith‘s plans include attending UBC as a Computer Science student and athlete on the UBC Track Team. She will be coached by Laurier Primeau. 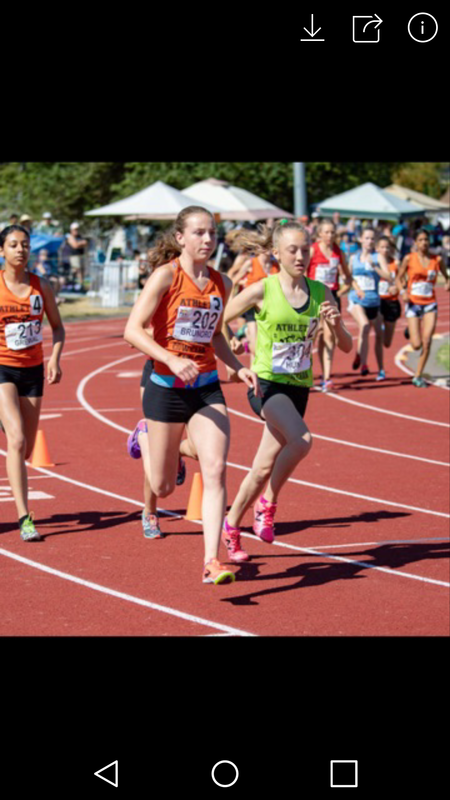 (shown here at 2017 BC Summer Games in Winnipeg, Manitoba) Grace Fetherstonhaugh‘s immediate plans include studying Science (KIN) at Oregon State University and competing on the track and cross country team, coached by Louie Quintana. 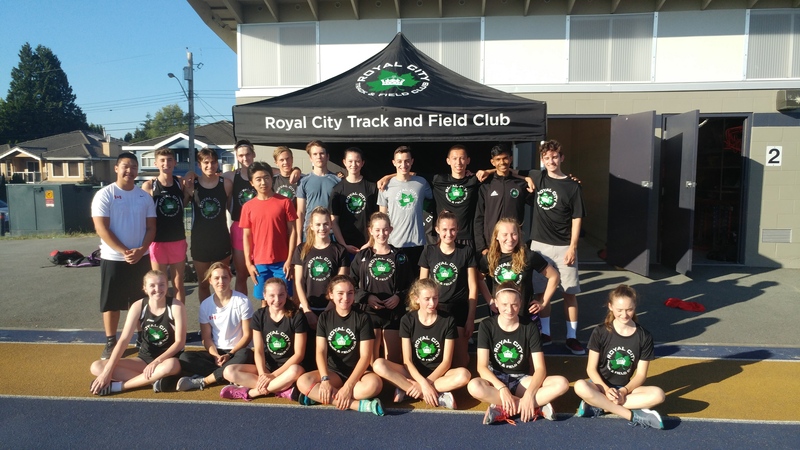 RCTFC athletes break club medal record at BC Athletics Jamboree! 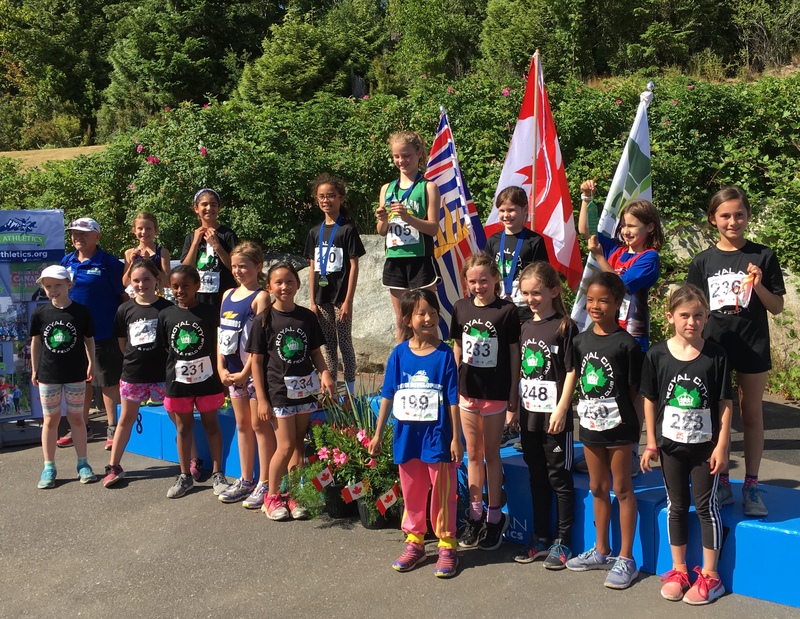 Congratulations to every single one of the RCTFC athletes who competed at the 2018 BC Athletics Jamboree at Percy Perry Stadium in Coquitlam! The Senior athletes are commended for a plethora of personal best, top 8 and medal winning performances backed by these athletes’ commitment to this past year’s strength training and practice sessions! Congratulations to all these athletes and their RCTFC Coaches! Kiran Wanniarachchi wins Silver in high jump for 1.80m in U18! Kiran also helped his 4 x 100m to a Bronze in the men’s category! As a team, the RCTFC Midget+ aged athletes broke the club medal record at BC Champs this weekend! The RCTFC team won 22 medals! 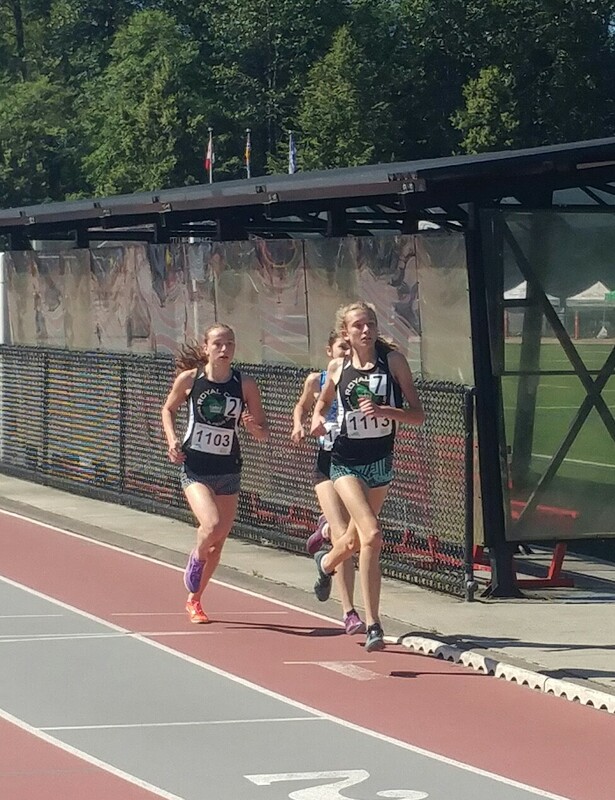 Katie Stewart-Barnett (right) dominated the meet in the U16 category, winning 4 Gold medals! Stewart-Barnett is shown here with teammate Isabella Brunoro (left) who also had a highlight weekend, winning a pair of Silver medals! Kiran Wanniarachchi‘s Gold medal in high jump and his contribution on the club’s 4 x 100m Bronze medal and 4th place finish in the 4 x 400m in the men’s category! 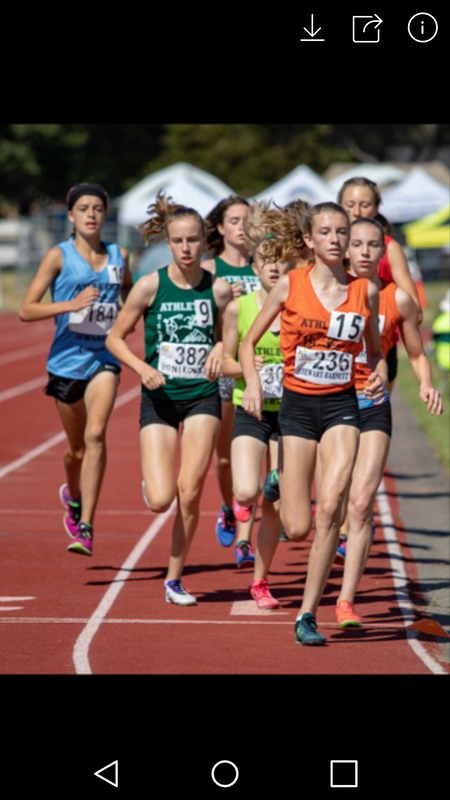 Katie Stewart-Barnett‘s 4-count of Gold Medal performances for 1500m steeple chase, 2000m, 1200m and high jump in the U16 category! 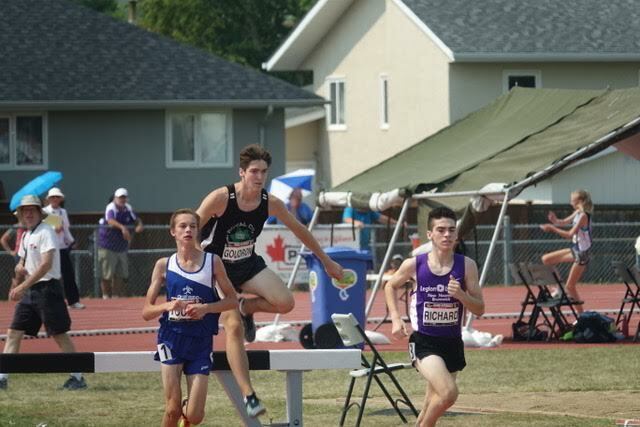 Ryan Goudron‘s Gold in 1500m steeple chase and trio of Bronze Medals for 300m, 800m and 2000m in the U16 category! Henry Ruckman won Bronze in the 1500m steeple chase and 4th in 2000m! As well, the RCTFC boys’ relay team competed in the men’s category to win the Bronze medal in the 4 x 100m (Gavin Fan, Jeremy Belcher, Kiran Wanniarachchi & Constantine Georgas) and 4th in the 4 x 400m (Ryan Goudron, Karl Arcadi, Henry Ruckman & Kiran Wanniarachchi)! Congratulations to these athletes who all competed in their own gruelling competitions prior to giving it their all in the relays! Way to go boys! Standout performances at Trevor Craven by RCTFC athletes! Congratulations to all the RCTFC athletes who competed at the Trevor Craven meet this past weekend! Lots of proud moments for so many personal best performances and top finishes in throws, jumps and on the track! Congratulations to both Jack Foster and Ella Foster on their new personal bests and Silver and Gold in vault! Kudos to Ryan Goudron and Kate Stewart-Barnett for their Gold medal performances in 1500m sc! Gold Medal for Emma Dolman in 400m H! 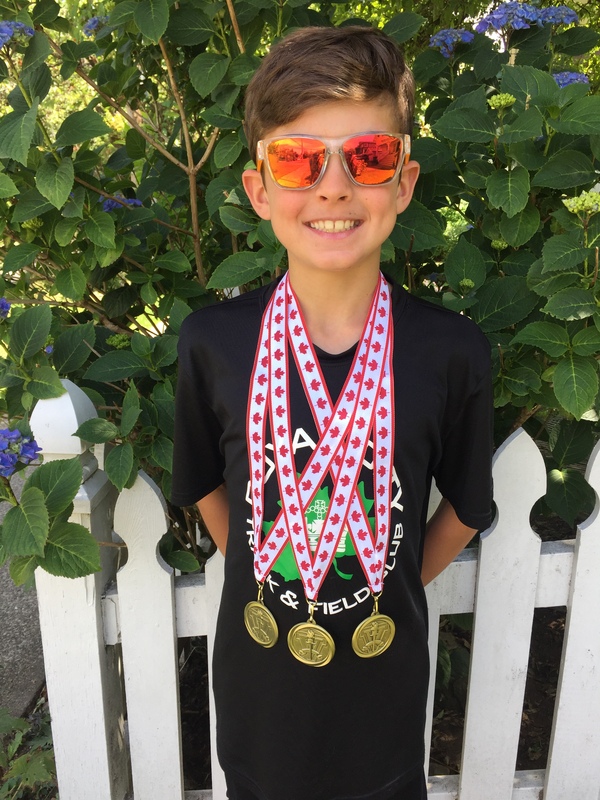 Congratulations to Jackson Schiebler for his winnings–a trio of Gold medals in 10 year old boys’ category! 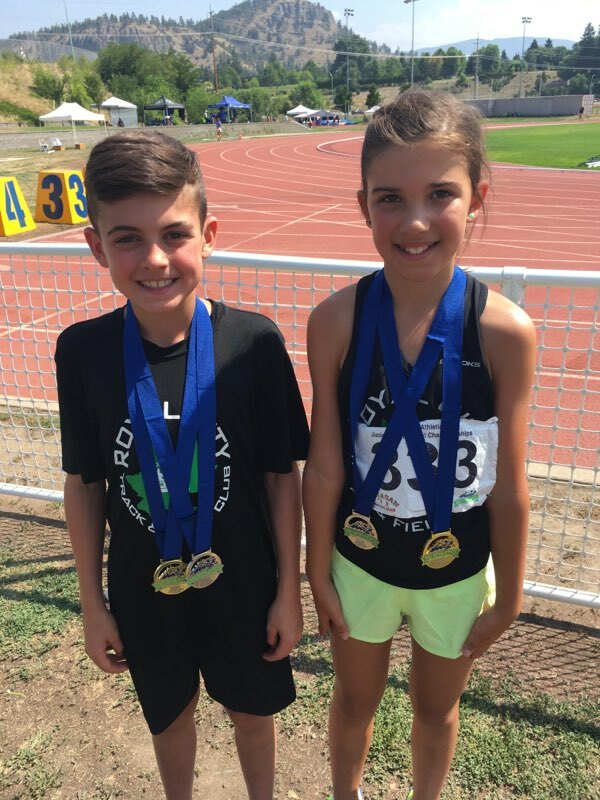 RCTFC JD Athletes hit the podium at BC JD Pentathlon Championships! 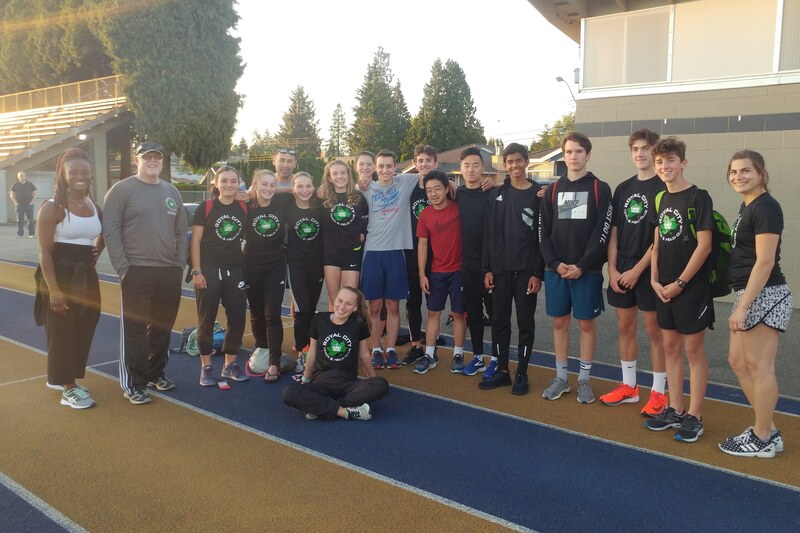 Congratulations to the 42 RCTC JD athletes who competed this past weekend at the BC JD Pentathlon Championships hosted by Ocean Athletics in Surrey, BC! Mia Gracia, Olivia Robinson, Maiysa Montakhab, Aria Devji, Abby Brolin, Clea Bergeron, Sylvie Hanna, Ellie Yong, Natalie Flood, Zehra Ali, Indira Chiang, Annika Yong, Nikolina Zarkovic, Amara Chiang, Mya Terlicher, Sarah Berhanu, Nathalie Roulston, Raaweya Maghara, Chloe Carlson, Lucia Monti, Sara Fereira, Alison Serban, Marin McDougall, Jacob Billard, Ethan Morrow, Finn Moreland, Shane Beaudoin, Levi Turra, Kairo Chiang, Manny Montakhab, Julian Lauritzen, Ben Williams, Leandro De La Cruz, Noah Brolin, Ryan Barlini, Ross McCrae, James , Patrick Jessome, Finnigan Bergeron, Marek Laga, Oliver Pope and Nathan Sedore are all to be congratulated for their winning performances, personal best accomplishments and determined efforts!